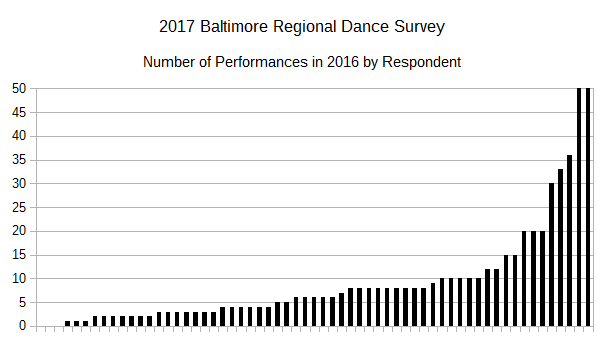 With this pool of respondents, we have two that are performing basically every week and three that did not perform at all in 2016. And where did these performances happen? This was literally a fill-in-the-blank response, so there’s some variations in approach from each respondent. Some submitted specific venues, some submitted generic venue-types, some just submitted city, state, or even country locations without any further detail. Having said all that, I managed to extract what I think are 191 meaningful responses to the question.